Newest Design Model on the market! Fits for Adults and Big Boys ! Coolster QG214 is the ultimate dirt bike in its class! Your Expert Choice! 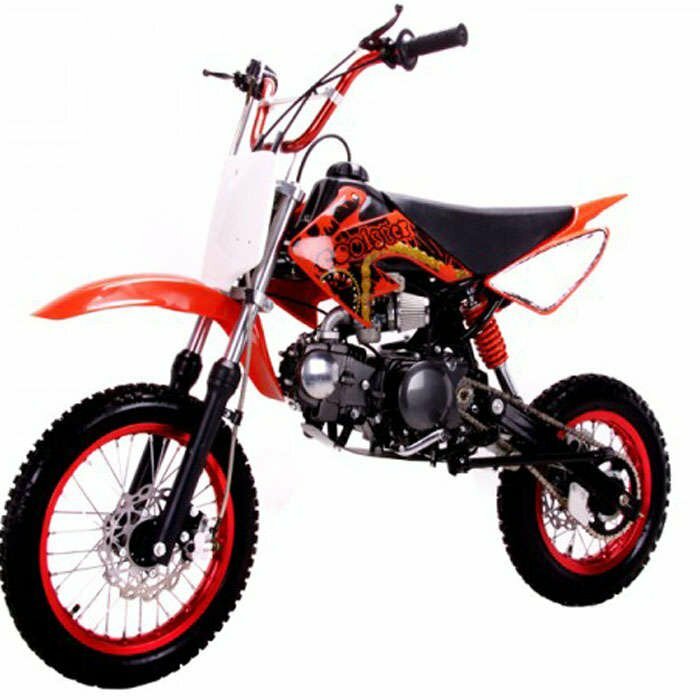 It is a fully modified dirt bike that rides on a CRF50 Replica Steel Alloy frame with all the aftermarket goodies people crave. Unlike many competitors who save money by using clutchless gearbox, the Coolster QG214 offers a fully adjustable clutch. Then the engineer went on to the suspension and brakes. As any rider would tell you, power is nothing without good brakes. Coolster QG214 again comes with class leading front and rear hydraulic disc brakes. Fast, Reliable and powerful! 125cc centrifugal multi-ply Industry Standard Engine. Transmission: Manual Clutch 4 Speed Transmission ---Quicker start and much more convenient! Pro's Choice! Chain: Heavy Duty Chain and Performance Sprocket. Metallic Red, Black, Blue, Green.